The Mamahood is so happy to be collaborating with textile designer Zeena Shah for an evening of Silk Screen Printing exclusively for local mamas. Zeena is a Printed Textile Designer, Stylist and creator of a collection of beautiful Screen Printed Home accessories. She has just written her first book 'How to Print Fabric' and runs a programme of Printmaking Workshops from her East London studio inspiring people to get making and sharing her love of printmaking. 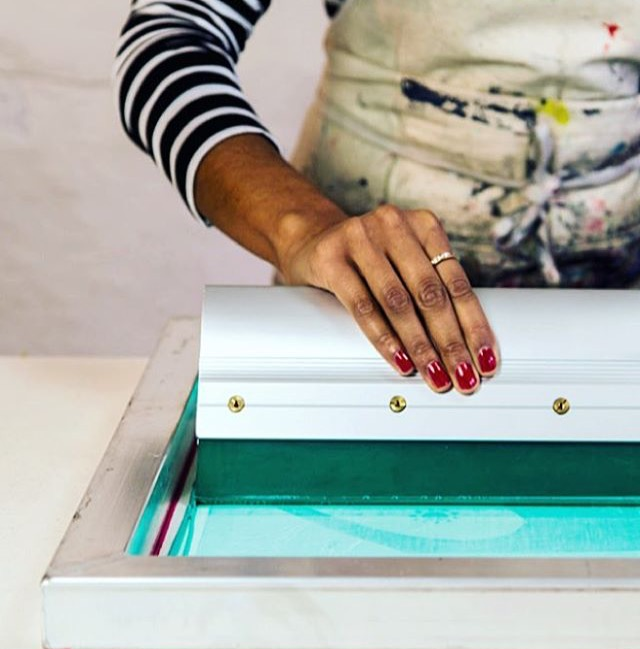 In this taster session, Zeena will teach you the art of Silk Screen Printing guiding you through how to turn your ideas into a print ready design. 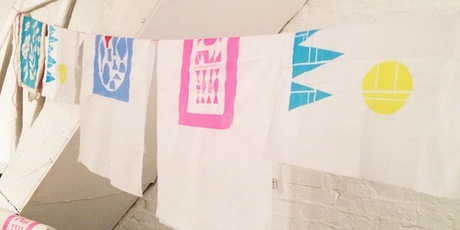 You'll learn paper cutting techniques and then use your paper cut stencils to turn your finished design into the perfect screen print for a tea towel and tote bag. This workshop is perfect for beginners, Zeena will have plenty of inspiration on hand but if you have a design in mind then feel free to bring it along. You will be able to order food and drink from the lovely menu at the Prince Regent on the night. Nothing. All materials are included. Upstairs at The Prince Regent, 69 Dulwich Road, SE24 0NJ. The closest train station is Herne Hill.